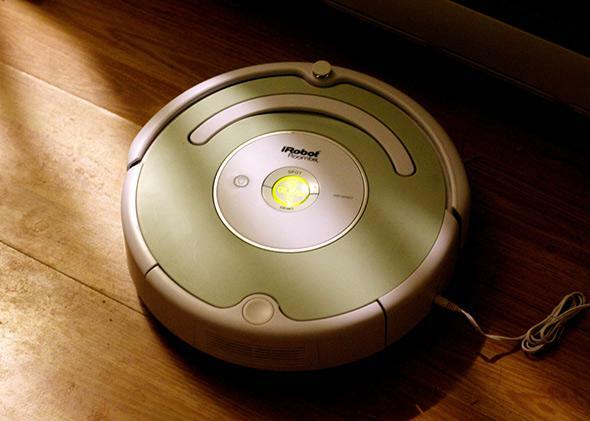 Roomba vacuum cleaners have names: iRobot CEO on people’s ties to robots. Why people build strong attachments to robots. CA: Yes. My Roomba’s name is Roswell. There is the moment when you are sitting on the couch and Roomba turns itself on and goes out and starts working. You really appreciate it because it works hard for you, and it deserves some kind of recognition. CB: How else are robots changing us? CA: We will have a generation who grow up assuming robots in their world in a way you and I never did. When my daughter was 3, she was eating Cheerios and spilled some on the table. So she swiped them onto the floor. I said, “Darcy, what are you doing?” She said: “Don’t worry, Daddy, the robot will get it.” I didn’t know whether to be horrified or proud. It was this idea that homes take care of themselves and robots are part of that. CB: Your bomb-disposal robots will be at the soccer World Cup in Rio de Janeiro later this year. How will they be used? CA: At the World Cup, there is a constant risk that you might find a bag or some object that has been left behind and no one is quite sure what it is. To bring in a full bomb-disposal team for each item can be very time-consuming. The PackBot can go over rough terrain, climb stairs, pick things up, and also be operated from a safe distance. CB: This week you released a telepresent robot that allows someone to send a robot to a meeting instead of attending in person. How is that different to other telepresent robots, such as the one Edward Snowden recently used to give a TED talk? CA: The goal with the Ava 500 is a system that allows you to project yourself with comparable charisma to being there in person. A big display and high-definition video convey the social cues on the person’s face. Ava also stands up and sits down; if you were seated but I was standing up, it would be a very short interview because you would feel uncomfortable. One of the biggest differences with the Ava 500 is navigation. CB: How does the robot get around differently? CA: Other telepresent robots are remotely driven, basically with a joystick. But in a business setting, you may not know where to go. Worse, most buildings don’t have continuous Wi-Fi. If you hit a dead zone, you are a paperweight. With our interface, the app will say, where would you like to go? The robot then uses a technology we have developed to quickly build maps and locate itself within them. Then it drives there autonomously. CB: As robots get more skilled, at what point should people start to be scared of them? CA: A robot takeover is not going to happen. Robots are going to help us with various aspects of our lives, but what will be weirder is the integration of robot technology into ourselves. Today if you lose your hearing, you can get an implant that restores it. The strange part will be when you can get even better hearing. Augmenting our bodies with technology will have far-ranging ramifications and is going to happen far sooner than humanoid robots coming in to take my job—or to take over.